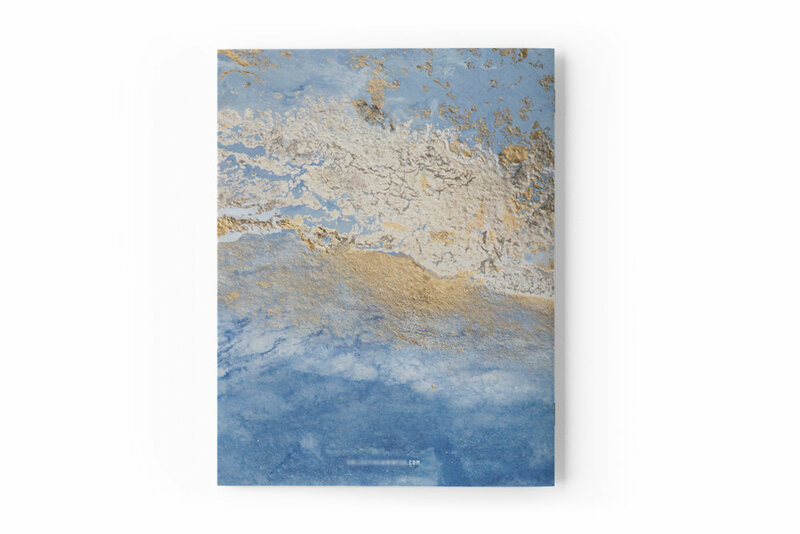 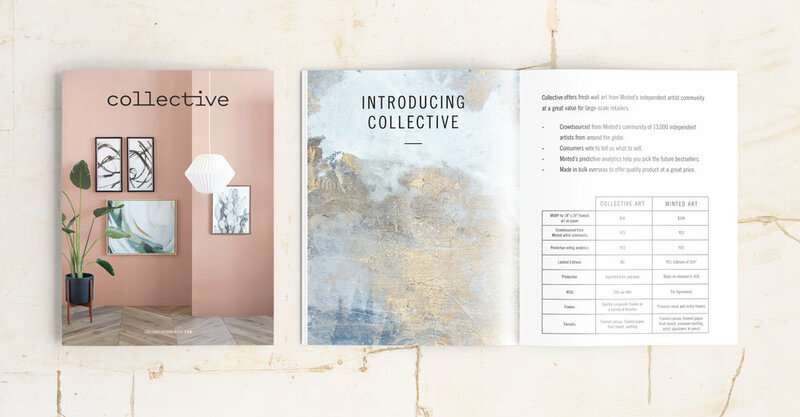 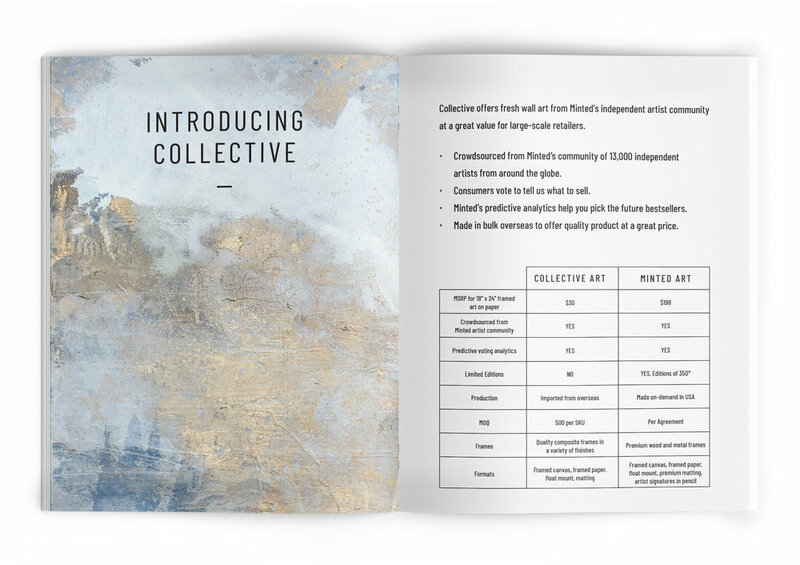 For the launch of Collective—a new wholesale art brand in Minted’s portfolio of brands—I developed a catalog to give prospective retail partners a glimpse at the opportunity available. 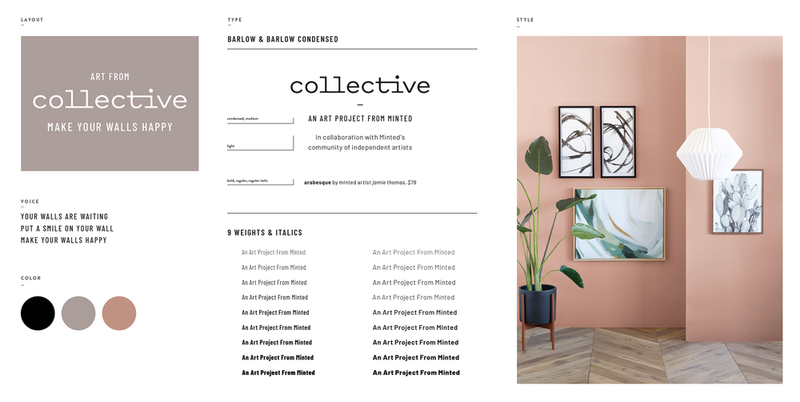 This brand is trend forward and decor driven—perfect for millennial consumers looking to experiment and explore without the expensive commitment of traditional fine art. 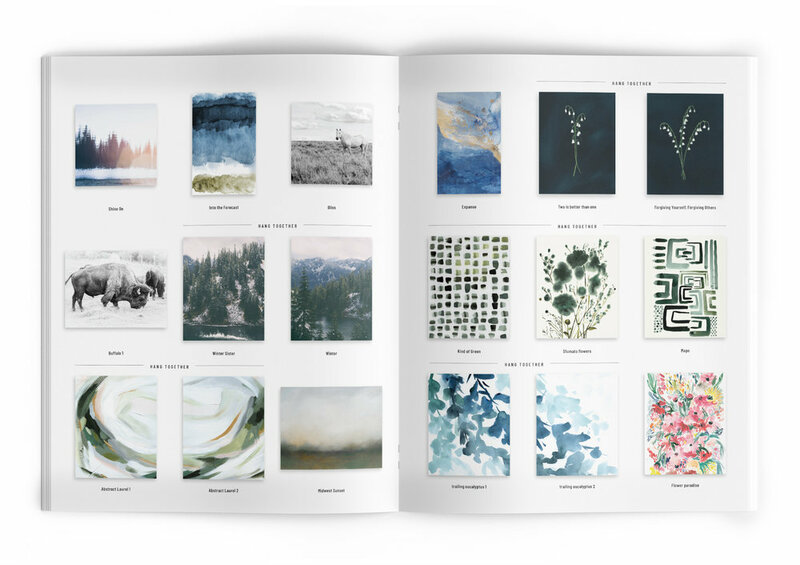 In preparation of the larger upcoming branding project I developed the initial branding specifications for use in the catalog and debut partner signage.